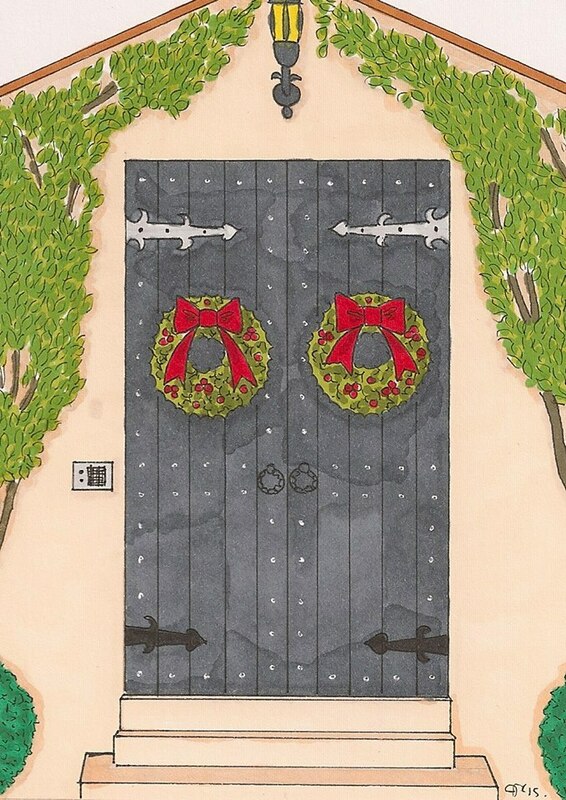 December 12, 2015 Notes: Rendering by Jake Gariepy of Joe and Rose Kennedy's Palm Beach mansion decorated for Christmas. Joe bought the Florida house in 1933 for use as a winter retreat for his family, including wife Rose and their children. 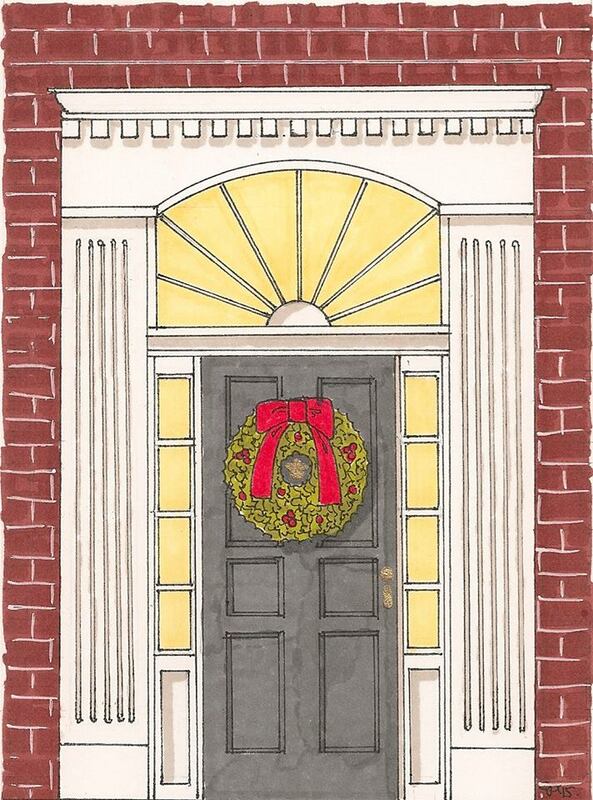 December 7, 2015 Notes: Rendering by Jake Gariepy of John and Jackie Kennedy's 3307 N. Street home in the Georgetown neighborhood of Washington, D.C. decorated for the holiday season. JFK purchased the house in time for Caroline's birth in November 1957. They left this residence for the White House in January 1961. 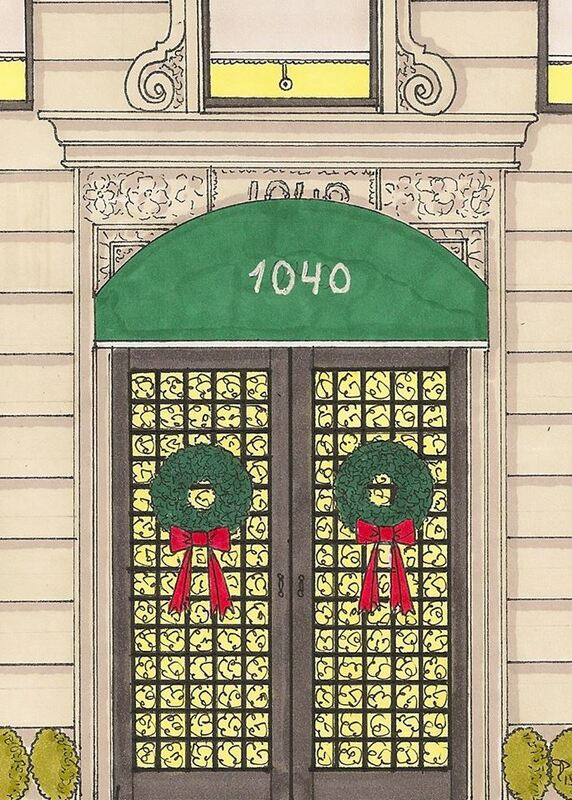 December 2, 2015 Notes: Rendering by Jake Gariepy of Jackie's beloved 1040 Fifth Avenue Apartment in New York City dressed for the holiday season. 1040 was Jackie's safe haven from 1964 until her death there in 1994. September 7, 2015: I did not know Jackie (knew Ted very well) but some years ago, I attended an awards event for Oscar Hijuelos in Manhattan. The room we were in was so hot and I twirled around in exasperation only to find Mrs. Kennedy staring me square in the face. She said, "My feet are killing me. If only one could wear flats at these things." I was too stunned to speak and before I could recover, someone else grabbed her attention but I will never forget that large, handsome face, the black hair so black it shone blue, the wise eyes, wise and mischievous, even when making that small joke. She was one-in-a-million, Jackie Kennedy was. The world is less of a place without her. 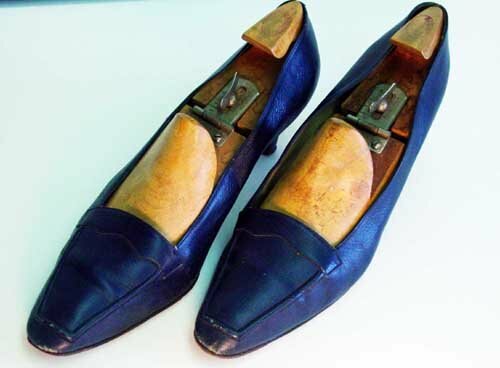 Image below: Jackie's pair of tailored navy leather flats with a square toe, size 10, imprinted "Eugenia of Florence Created by Mario", on sole: "Hand Made in Italy", with custom wood shoe trees in each shoe. Formerly the Property of Jackie Kennedy, given to M.B. Gallagher. Copyright Hantman's Auctioneers.